Reprinted in part from MASS Moments. Featured image: National Park Service. When the Great Migration of the 1630s ended, the number of ships bound for Massachusetts fell off steeply. The supply of iron products went down and the price went up.Among the men interested in seeing an iron industry develop in the colony was John Winthrop, Jr., son of Governor John Winthrop. Winthrop Jr. (1606–1676). The younger Winthrop arrived in Massachusetts in 1631; two years later, he helped to found the town of Ipswich. In 1641 he returned to England to find investors for an iron works in the colonies. The result was the Company of Undertakers of the Iron Works in New England, formed in 1643. The company’s first venture was in Braintree. It failed almost immediately, and Winthrop was replaced; the new manager decided on present-day Saugus as a better location for an iron works. In the early years, every single tool — every axe, shovel, and saw — had to be imported. Situated on 600 acres of land, the site he chose was bordered by the Saugus River, which was both a source of waterpower and a means of transportation. The Appleton house at the Saugus Iron Works isthought to have been constructed in 1681 by Samuel Appleton. John Winthrop had recruited a group of experienced English workmen and paid for them to accompany him back to Massachusetts, but it proved difficult to attract skilled workers to the Hammersmith Iron Works. The forges became the foundation of the American iron industry. After only 22 years, the high cost of labor, combined with mismanagement, forced the Hammersmith Iron Works to close. The last recorded use of the furnace was in 1668, but in the 1680s, Samuel Appleton of Ipswich owned the Iron Works and occupied what had been the company agent’s house. In the 1940s, word spread among Saugus residents that Henry Ford wanted to buy it and move it to his living history museum in Michigan. The townspeople rallied and raised the money to buy the only remaining seventeenth-century structure in town themselves. 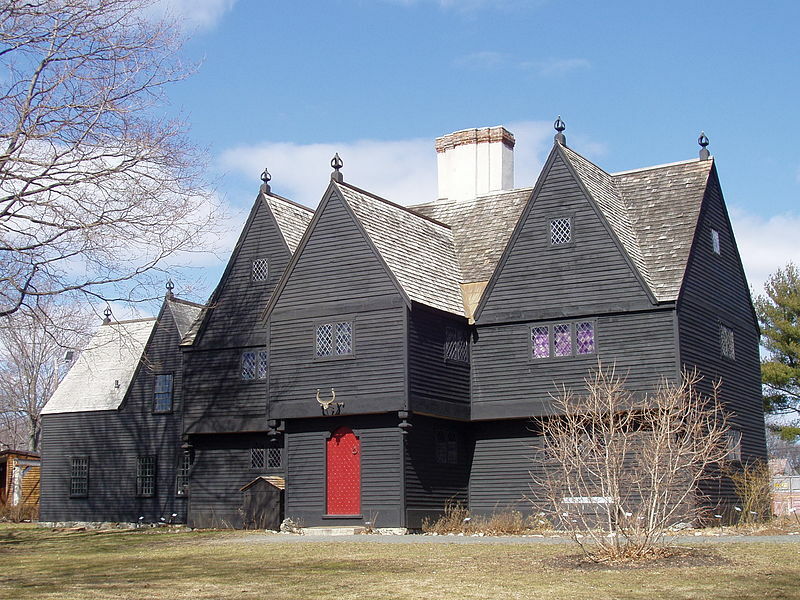 In 1943 they formed the First Iron Works Association and embarked on one of the earliest preservation projects in New England. Re-named the Saugus Iron Works, it opened to the public in 1954. Gordon, thank for the great piece reminding folks about the history of the SAUGUS IRON WORKS, truly a national treasure. In addition to Samuel Appleton, two other figures come to mind. WILLIAM MUNROE was among the Scotch prisoners “transported” to Saugus following the English Civil War. After serving his seven years, he moved on to Lexington where many of his descendants fell on Lexington Green on April 19, 1775. One William Munroe had the privilege of welcoming back General Lafayette when he returned some fifty years later. Another noteworthy settler was ADAM HAWKES (1605-1672) whose property abutted that of the Iron Works. Adam supplied the enterprise with ore from his iron bogs, and the timber used to support the furnace and forge. However, problems arose when water, dammed from the Saugus River to provide water power, destroyed his crops and flooded his wells. When legal recourse failed, Adam’s oldest son John took it upon himself to destroy the dam. But that is another story. Interestingly, Adam’s linear descendant Louise Hawkes was a prime mover in the restoration of the site. Suggestion – the Saugus Iron Works is a great destination to visit with children on a sunny day offering much to learn and plenty of space to roam. What is that silver item/ornament above the door of the Appleton House?